Urban practitioners do not have to look at rural regions as if they are outside their ambit. If anything at all scholars like Anthony Leeds have pointed out that the rural is a sub-system of the urban, especially as the latter has a huge propensity to shape and influence the former - as a market, as decision maker of policy or simply as a point of gravity for the flow of migrant populations. 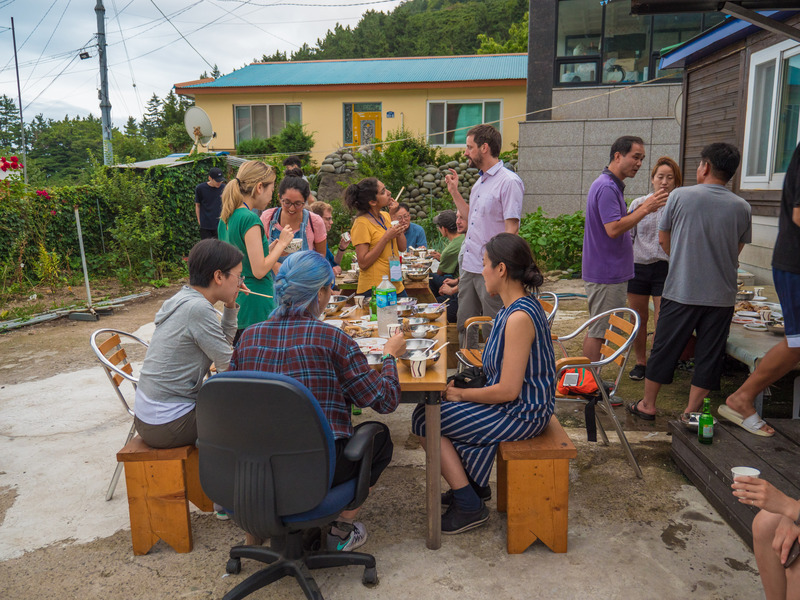 It is such a motivation that shaped us, urban practitioners based in Seoul, South Korea, who are part of the global urbz network to get involved with Ulleung island. We organized a workshop with the intention of evolving a program based on our networks' approach, of placing the user/resident/inhabitant at the centre of the process. The idea was to evolve a distinctive and relevant planning methodology. The start of the process included a detailed analysis of what is wrong with the existing policy and practice in such regions. Rural Korea faces significant depopulation thanks to outmigration of youngsters. The residual aged population cannot fully optimize the enormous wealth of resources that surrounds them. The ratio of people over 65 is about 38% which is nearly double that of the country as a whole, which is around 13.2 % (according to the 2015 census). The villages are becoming hollowed out in terms of income as well as lack of substitute institutional arrangements that can replace disintegrating older communities. There is segregation and conflict due to individual groups pursuing profits and disregarding how local economies are embedded in community structures and ecologies in a more intricate way. In 2000, there were some government policies that were framed in a more holistic way, and did not just focus on agricultural practices in rural areas like they would before. These programs were aimed at community-based development, and encouraged the constitution of resident councils and the promotion of local steering committees. They mostly included business programs, with a focus on developing tourist projects and educational institutions to attract urban residents to these regions. These typically accompanied the construction and renovation of buildings, roads, and other facilities. Within these frameworks, the integrated rural village development program constituted of three or more legal jurisdictions that were bound to one village, where the community and local governments were encouraged to plan projects together. Once the area was selected by the central government, it provided support up to 7 billion "won" for five years. In 2004, 36 regions were selected for the first time under this program and concentrated on community based participation, bringing in external experts such as farming and fishing village corporations and private consulting firms. This process included software development focusing on resident education and learning and other income generating projects. However, all these initiatives remained limited in their impact since the local communities did not get involved to the extent they desired. To address these limitations, the government, from 2010 onwards, began a renewed attempt aimed at creative village development for the improvement of the quality of life in rural areas, population maintenance, and regional development. This was sought to be done by revitalization of rural hubs, creation of centers with an emphasis on creative activities for the local communities, and enhancement of the capacities of education projects, branding of goods and development of business consultancies. There were special rural site forums instituted, organization of happiness town development contests, and other such programs. The idea was to bring in the residents as the main actors into the process of development. This was also to assure those residents who took an initiative that they would get support from the government. However, in practice, the program heavily depended on the political directions of the central government. These inevitably demanded making visible changes, usually obvious ones in the external built environment or asked to prove very prominent economic growth objectives. Only then were governmental budgets actually forthcoming. In spite of these moves, goals of rural development initiatives remained unclear. The program is still entrenched in the bureaucratic policy system that focuses on conventional business practices. It remains important to align plans with the interests of the government departments and show short-term goals for their benefit rather than long term ones for the residents and communities. Typically, residents do not have a self-sustaining and sustainable system when the supported business project meets its deadline. Most of them do not continue after the government ceases its subsidies. The committees or organizations, usually made in haste as a part of the program, often collapse due to lack of continued operational funds. 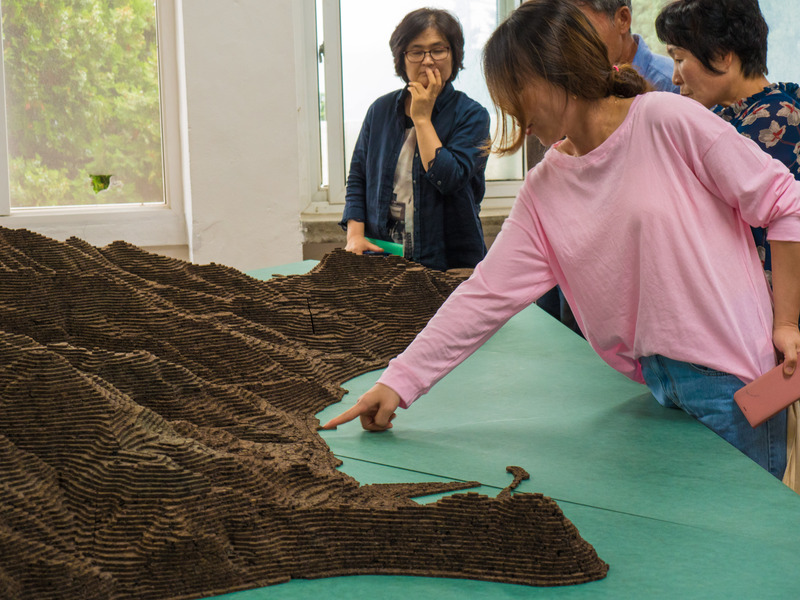 The Korea Rural Community Corporation, that is in charge of rural development in Korea, still reproduces generic, standardized, programs without considering the distinctive contexts of each locality. They are repetitive programs that include study tours in advanced areas and build derivative models from there. They tend to favour physical hardware and development of physical infrastructures as they are easy to monetize. While there has been a boom on tourism and its marketing, in most cases the opinions of local residents and their quality of life has not been given much priority. Most programs are developed by outsiders and people unfamiliar with local contexts, specially private consulting companies). At the same time there have been successful cases of people-led village development movements as well. For example, 청주 아름다운 마을가꾸기 운동, 성미산 마을, 진안군 내발적 으뜸 마음만들기 . The Handmi village showed successful village development programs in terms of cooperation between residents and local governments. This was striking in their program on agricultural product sales, the experience of program operations, the rural study program and the development of the restaurant / lodging facility operations that they started. The ‘Buraemi’ village was successful in their various events and festivals for tourists and residents, development of brands for village agricultural products. They focused on capacity building and special experience programs for visitors and residents. There was a high level of enthusiasm among the village residents and a desire on their part to make small but significant changes. The villagers participated directly from the start and received public assistance, budget support or expert assistance for national projects subsequently, after demonstrating their interest and capabilities. However, there were also conflicts among villagers due to work and income allocation, but this is something to be expected. All community efforts involve a degree of conflicts of parties and this needs to be factored into the process. In contrast to these mostly positive cases, the story of the Naju village development project was clearly unsatisfactory. This was mainly because the local residents saw a lack of autonomy for them as and when the projects progressed. There was also a greater dependence on the government as the lack of control and agency became a basis for increased financial dependence. 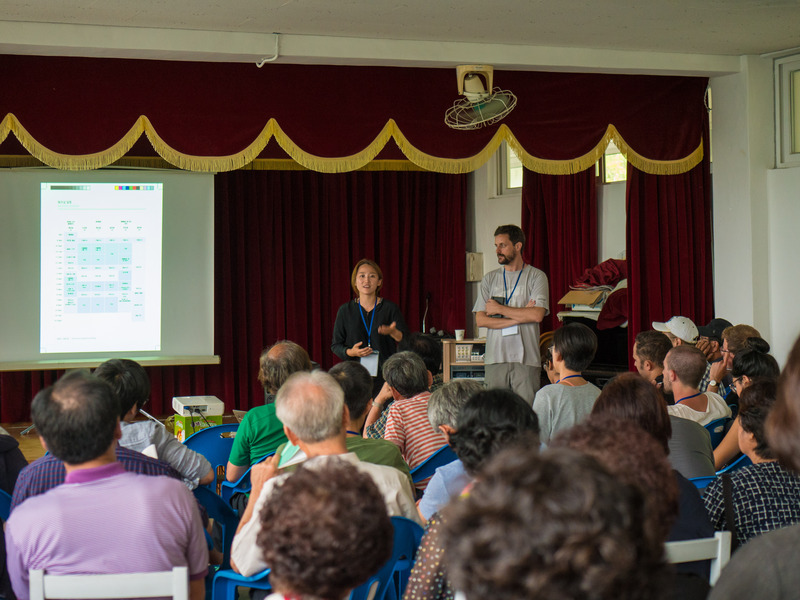 All this learning was at the back of our own minds, as we launched into developing a distinctive methodology for rural development in Korea through our workshop in Ulleang. Our workshop was centered on making local residents the starting points of brainstorming itself. 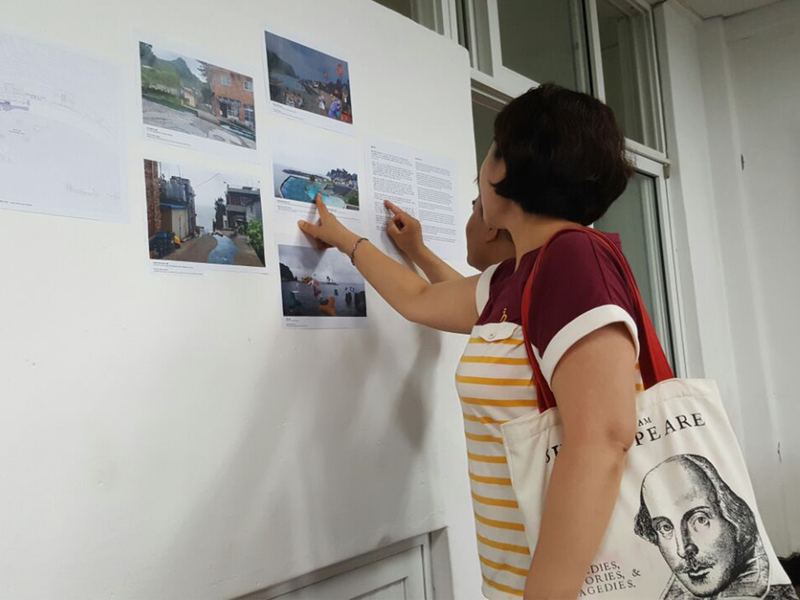 This involved documentation of existing realities and contexts, collaborations between local residents and experts who came for a fixed period of time (for the duration of the workshop) but focused on actively learning from the residents. The workshop was the start of the process of developing a particular program for the island village. Its format was not about a tokenistic engagement with residents for the sake of showing participation, but a concrete step in the direction of providing a resident-generated local program. The workshop helped us converge knowledge, materials and interests of local residents. Most of all, it helped cement trust and camaraderie between residents, planners and authorities. The catalyst was the coming together of international experts from fields as diverse as architecture, marine ecology, urban planning, art, journalism who didn't know much about the context, with the local residents who were experts of the neighbourhood and contexts. The interactions between all these varied players produced ideas for concrete projects and initiatives on which we are building a program and system for the sustainable self-development of the village. This includes, developing and registering the system of cooperation based on local community as a working system, fostering local human resources as well as deeper partnerships with internal and external experts, based on real experiences and inspired from their own lives. We are also in the process of developing, registering and advertising the village brand (as a whole), as well as the many products that it can generate. Besides this we are expanding the network and ideas which were initiated in the workshop with various experts from around the world. The second workshop is on course and is planned to be held during the full-moon festival, which is a traditional and super local celebration. Due to a diminishing population, it has lost its scale and dynamism which we hope to revive through our art workshop with 10 artists from around the world who will interact and work with local residents. For more information about the workshop and its outcome please refer to the Ullengdo Workshop article.